Protect your clients from omissions and procedural errors that could damage or destroy your case at trial. 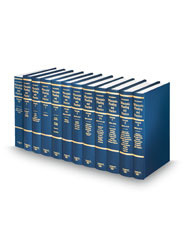 Written in plain English, this multiple volume set delivers authoritative, current, and complete information for pleading a civil case in Wisconsin’s trial courts, Court of Appeals, and Supreme Court. Expert guidance covers every stage of the process, from summons to final appeal.